Queen`s University Belfast and INTO Queen`s University Belfast invites applications for the Queen`s University Belfast Foundation Scholarships. The scholarships have been created to assist international fee-paying students, who need to complete a Foundation programme before enrolling on a Queen`s University Belfast undergraduate degree programme. The Foundation programme commences in 4 January 2011 and the length of the course are 3 terms. Successful completion of the appropriate Foundation pathway (subject to meeting specified grades for entry) guarantees students progression onto a wide range of undergraduate degree programmes at Queen`s University Belfast. Successful completion leads to the award of the NCUK International Foundation Certificate and direct entry to Year 1 of a wide range of degree programmes at Queen`s University Belfast in September 2012. Successful applicants will receive a scholarship worth £5745.00 which will be deducted from their INTO Foundation programme tuition fees. 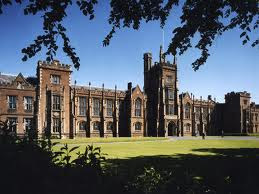 Upon successful completion (and subject to achieving specified grades for entry), students entering degree programmes at Queen`s University Belfast will receive a further £5745.00 (which will be deducted from the university`s Year 1 tuition fees). You need to complete an INTO Queen`s University Belfast Academic Application form stating which Foundation programme you would like to apply for. The completed form should be returned to INTO Admissions along with copies of your academic transcripts and evidence of current English language level. Moreover, you need to complete a Queen`s University Belfast Foundation Scholarship application form including a personal statement explaining why you want to study at Queen`s University Belfast and how the degree programme will help you in the future. The personal statement must be hand-written in English and be no less 200 words and no more than 500 words. Applicants may submit information and evidence of additional achievements in support of their application. Application for the scholarship can be downloaded here. All scholarship applications must be complete with transcripts and should be submitted to c.guiney@qub.ac.uk by 18 November 2011. All scholarships applications received by this date will be considered. Successful candidates will be notified no later than two weeks after the deadline has closed. All other scholarship applications will be retained for further consideration. Demikianlah informasi 5 International Undergraduate Foundation Scholarships, Queen`s University Belfast kami sampaikan, semoga bermanfaat.